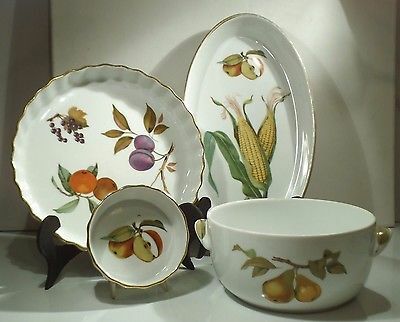 Evesham Gold is a classic pattern that beautifully depicts autumnal fruits from the Vale of Evesham. 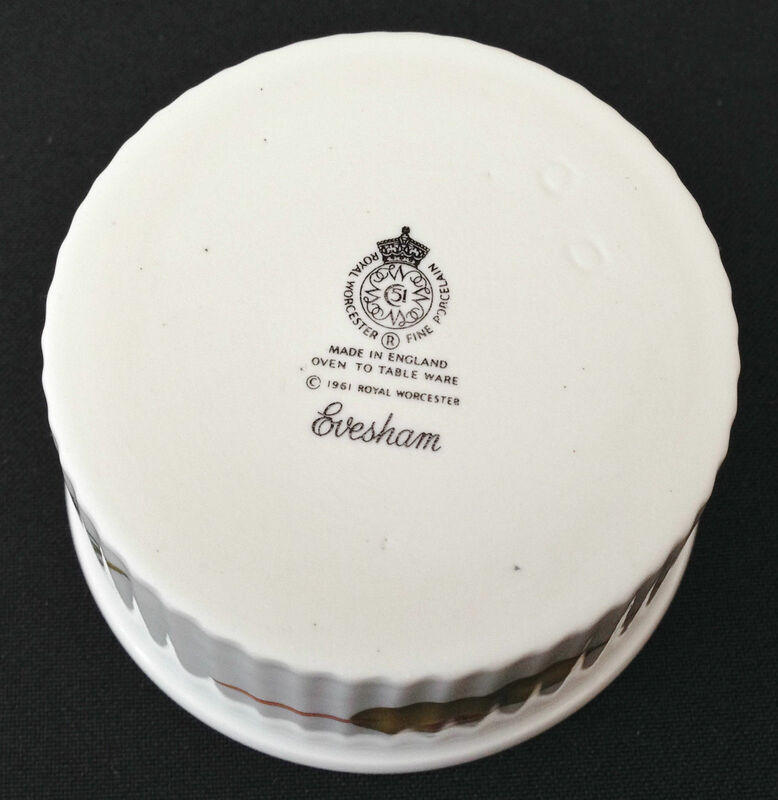 Introduced in 1961, the Evesham range was designed and made by Royal Worcester. 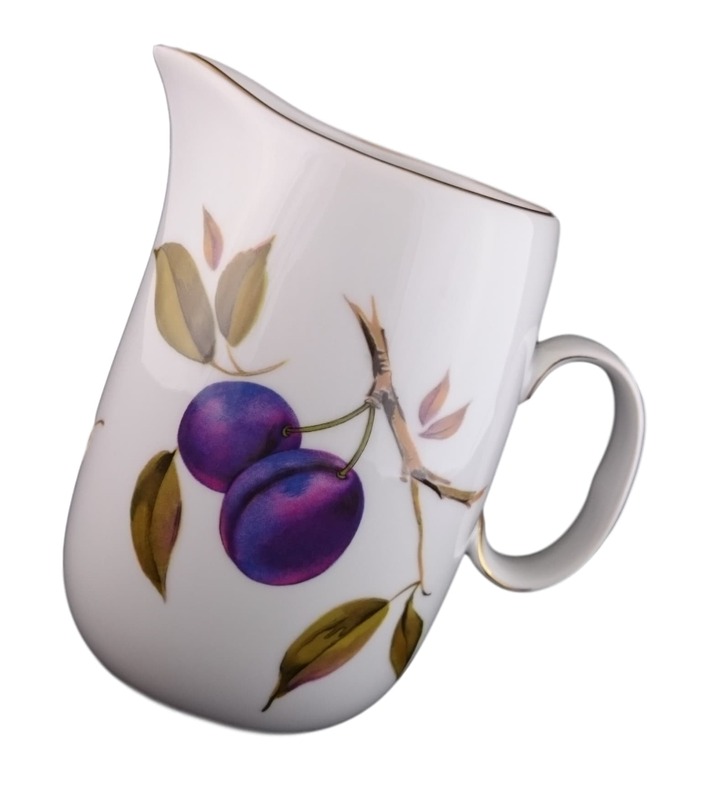 This Royal Worcester “Evesham” Jug holds approx 24 oz of liquid (over a pint) and measures approx 14cm in height. 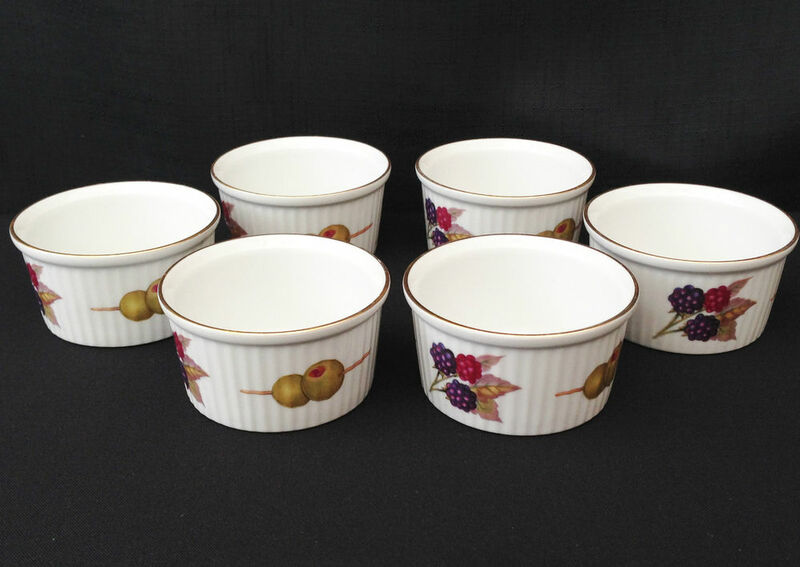 Ramekins from the Evesham range, decorated with olives and blackberries with a gold rim around the edge.